Combining auto insurance policies as well as renter’s/home owner’s policies can get you some great discounts. This is also a good time to reevaluate the coverage you want now that you are together. My husband and I have our two cars, renter’s, and ring insurance through one company. Compare your benefit plans to see if there are any duplicates. Some employers offer incentives for not using their health coverage. If you can get covered by your spouse’s benefits, you may be able to take advantage of these incentives. Don’t forget your dental and optical plans if you have them. Also look at your 401(k) company matching. If one company matches to a higher percentage, it may be best to concentrate your 401(k) savings in that account for more money. Some cell phone service providers offer a family plan. As a married couple, you qualify for this plan. Make sure to take a look at your current usage so that you can find the best plan for you and your spouse. Also check to see if you qualify for a discount from your employers. My husband gets a 20% discount from his employer. So, when we combined plans and the discount, we are now saving $40/month on our cell phone service. Combining bank accounts can be a tricky decision. If you do decide to combine accounts, you can save some money by cutting your fees in half. If you have a checking account that charges a fee for falling below a certain balance, combining your accounts will make it easier to not fall below that line. You also will only need to pay for one set of checks! Have you combined any other accounts to receive discounts? If so, what are they? Good tips! Thanks for sharing. These are great tips. When my husband I got married, one of the first things we did was combine our cell phone service. It saved us a TON of money. great tips! Navigating finances are often the hardest thing to do for newlyweds! Thanks for these great tips. I have been married for almost 38 years so not a newlywed here but my husband and I still continue to save together. 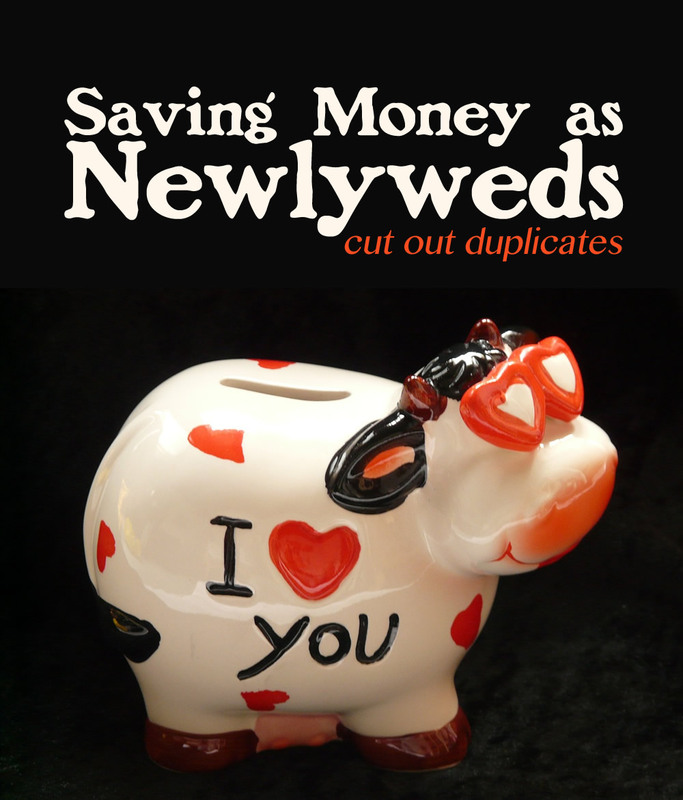 We were able to save a lot of money by not duplicating benefits. These are very good ideas.Good ways to save. Thanks for the tips! We have a combined bank account! We've pretty much done all of these. We do have a joint account, but we also each have a separate account. I used mine for business related things as it is easier to keep track of for tax time. This is a super good list! I cant wait until I am married and a newly wed one day! Great ways to save money if you are able. I know that some people want to retain their autonomy and keep it all separate anyways. Just the cell phone bundling is saving us about $30 per month. I can see keeping some things separate, but I am all about saving money... and my hubby knows this! I remember trying to combine our insurance we both loved our separate companies but combining saved us a ton of money. We ended up going with whoever cost us the least amount for the same amount of coverage. One of the things my wife and I did was put all of our accounts into mint.com to get a better idea of where we stood financially. Then we combined our bank accounts. You could do this was spreadsheets but mint just made things a lot easier. I love mint.com! I keep track of our finances in there as well. It makes it so much easier. It's good to know we're on the right track. We've already planned to do all of these things. We've got some hindrances, but we're working hard to get the cell phone and insurance moved to start.